Listen up, water-loving Westerners: We’ve got a problem. A trout problem. For decades, anglers have fetishized these silvery stream-dwellers, maniacally pursuing rainbows, browns and brookies to the neglect of other underwater life. Every year, obliging fish managers pump America’s waterways full of millions of hatchery-born trout, diluting gene pools and overwhelming native species. We fishermen consider ourselves enlightened stewards, but our trout myopia reveals our true self-centeredness. And let’s not even get started on bass. Fortunately, there are plenty more fish in the sea — to say nothing of rivers, creeks and lakes. 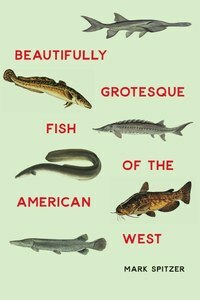 For anyone seeking a deeper understanding of what lies beneath the surface of Western waterways, Beautifully Grotesque Fish of the American West offers a lively primer to the region’s aquatic biodiversity. Over the course of 11 chapters, Mark Spitzer, a writing professor at the University of Central Arkansas and a certified angling addict, travels the country seeking the kinds of experiences that you’re unlikely to find valorized in the pages of Field & Stream: ice-fishing for burbot in Utah’s Flaming Gorge Reservoir, bounty-hunting for pikeminnow in the Columbia River in Washington, snagging paddlefish in Missouri. (Spitzer has a decidedly liberal geographic definition of the West.) “Give me your wretched, your maligned, your demonized — this has always been my motto,” he writes. Spitzer’s shtick is to love the unlovely, to venerate the homely stalwarts that make up in resilience what they lack in conventional beauty. 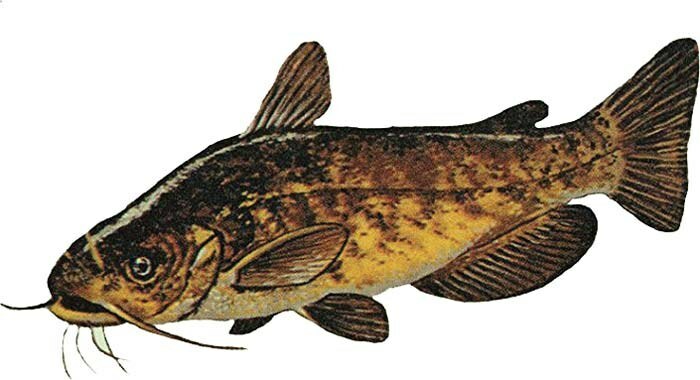 This is a writer whose master’s thesis was a novel about a “misunderstood, man-eating catfish,” and whose first two nonfiction books profiled the alligator gar, a gargantuan primitive fish with a crocodilian smile. You might think that a lifetime of scribbling about gruesome freshwater monsters would have scratched that particular itch, yet Spitzer’s ardor for the ugly remains powerful. He rhapsodizes about the razorback sucker, a “quasi-Quasimodo with an elongated horsey head”; the paddlefish and its “crazy flat spatulated nose”; and the way American eels swim together in “spermy formation.” Granted, not all the fish he targets truly deserve the grotesque label: You get the distinct feeling that he includes a chapter on muskellunge — a sleek, tiger-striped predator that’s gorgeous by anyone’s definition — simply because he yearns to catch one. Just as Spitzer revels in homely fish, he delights in less-than-scenic landscapes, especially ones dominated by human activity. He does his best fishing in reservoirs, below dams, and along what he dubs the Industrial Edge, “ecotones of smokestacks and cinderblocks and rusty pipes and climbing ivies” where the built and natural environments collide. On Oregon’s Willamette River, across the channel from railroad tracks and homeless camps, he lands dinosaur-like sturgeon, ancient fish that were swimming Western rivers back when hominids were just a glint in evolution’s eye. Spitzer has a soft spot for invasive species, too. After netting non-native carp, he opines, perhaps optimistically, “that we can strike a balance with non-indigenous species and incorporate them into our cultures.” Slathered in teriyaki sauce and curry paste, he discovers, carp and hideous snakehead fish aren’t half bad. If you can’t beat ’em, eat ’em. Occasionally, the author turns the lens inward, to the grotesqueries of his own life. Spitzer makes passing reference to an acrimonious divorce, the death of his mother, and, finally, a winsome new partner. In one passage, landing 6-foot-long gar in Texas soothes his bitterness about the dissolution of his marriage, providing a redemptive connection to “that youthful capacity for wondering and marveling at what this world has to offer.” During such moments, you can glimpse the contours of a more personal — and emotionally richer — book lurking just beneath the surface: a fisherman’s version of Wild, with, say, the Missouri River standing in for the Pacific Crest Trail. Spitzer angles half the rivers in the West, but he never satisfyingly plumbs his own depths. What Beautifully Grotesque Fish lacks in soul-searching, though, it makes up in soul: It’s a paean to the ignored, an homage to the uncelebrated. It’s about embracing the nature we have, whatever it looks like, wherever it swims. (There’s also plenty of technical advice for fishermen hoping to duplicate Spitzer’s quirky exploits: The best lure on which to catch pikeminnow, we learn, is “either a rubber tube or a grub” deployed using a “plunking action.”) In the end, Spitzer’s book offers a fishing manifesto for a human-dominated planet — call it “Angling in the Anthropocene.” May trout have company in our hearts, and on our lines. University of Nebraska Press, 2017.